Today: Why a scale will set you free in the kitchen -- and the lightly sweet fall cake that proves it. If you don't have a kitchen scale yet, it's time to buy one. For years, I measured out my gluten-free flours in cups, just as I had dipped my one-cup measure into bleached white wheat flour. Sometimes the baked goods worked, with a good spring and a moist crumb. And sometimes they were leaden messes. It took me a long time to realize that each of the different gluten-free flours -- and there are plenty to choose from -- has a different density. 1 cup of arrowroot flour weighs 128 grams, but 1 cup of sweet rice flour weighs 204 grams! If I ran out of arrowroot flour and used sweet rice flour instead? Well, that's why that cake weighed more than it should. So I learned to bake by weight, as pastry chefs do. And everything grew easier. More: Build flavors with flours -- here's how. 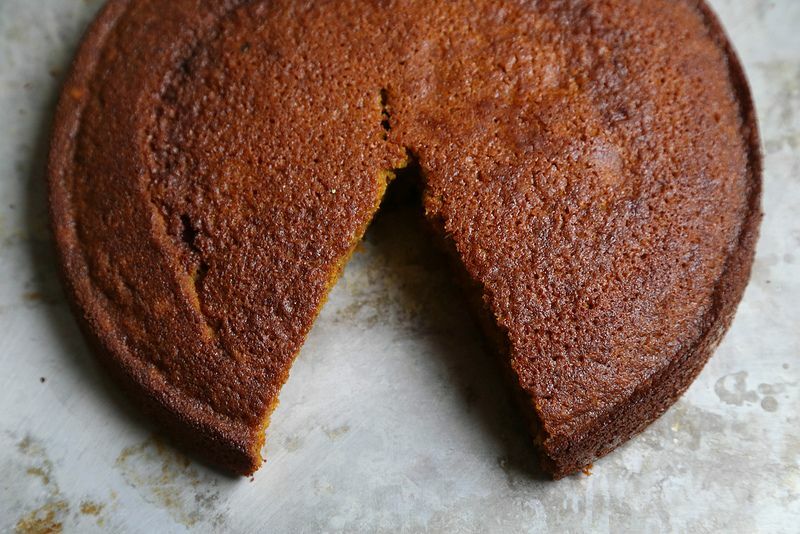 And so, this coconut squash cake, which is moist and springy and tastes of autumn, is adaptable for your palate. Do you want to try brown butter? Use 115 grams of it instead of the coconut oil. Do you not have coconut sugar in your kitchen? Use 140 grams of brown sugar instead. Can't find kuri squash in your store? 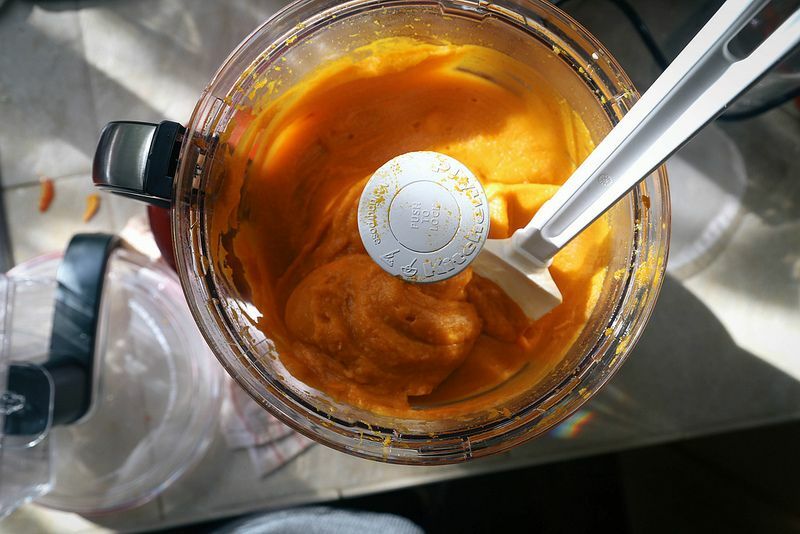 Butternut squash or kabocha will work beautifully -- just weigh out the purée. And then you have cake. Where is the recipe for the grain-free flour mix? Hey all, I made this today with a few of Shauna's subs in tow...browned butter and half coconut/half brown sugar. Halved it and baked it in an 8 x 1 inch tart pan which was perfect in size. Glazed with a little orange honey and toasted hazelnuts. For flour I used equal parts almond (Honeyville), buckwheat and oat (and knew I was taking a gamble w/ no potato starch. It was definitely a bit moist/denser due to that but not in an under-baked way. While it baked up nice in just a half hour and the taste was very nice, my main quibble was I thought the buckwheat to be a bit overpowering. I wanted the squash to sing more I guess. Still good, but I think I'll do a few more tweaks next time. Maybe a dumb question.. but how do you think this would work with pumpkin? The squash looks awesome and delicious but I am looking for a substitute for pumpkin pie for Canadian thanksgiving this weekend. here's the video about psyllium husk from Shauna's website. http://glutenfreegirl.com/2012/07/what-is-psyllium-husk/ I wonder if I can use some of my giant can of metamucil?? I am curious about the psyllium husks as well. Any subs? Curious what the purpose of the psyllium husks is to the cake. Can I omit them, Shauna? My body doesn't react well to that stuff. Or should I sub something else? Hi there! The psyllium works as a bit of a binder for the cake, ensuring that the edges are crisp and it holds together well. But since I first developed this recipe — I adapted my own recipe here to be grain-free and dairy-free — I've realized that psyllium (or xanthan gum or flax seed or chia) really isn't necessary for cakes. So if you want to avoid it, simply add another 15 or 20 grams of flour instead!